In other words, Gurgaon is a bustling, flourishing testament to the power of good rules – even when competing against areas with ‘better’ infrastructure. Tabarrok points out that for-profit corporations swiftly filled the ‘institutional vacuum’ left by the absence of government by investing billions in Gurgaon. Health clinics, electricity, water, roads, and a security force outnumbering the ‘real’ police are all provided privately. 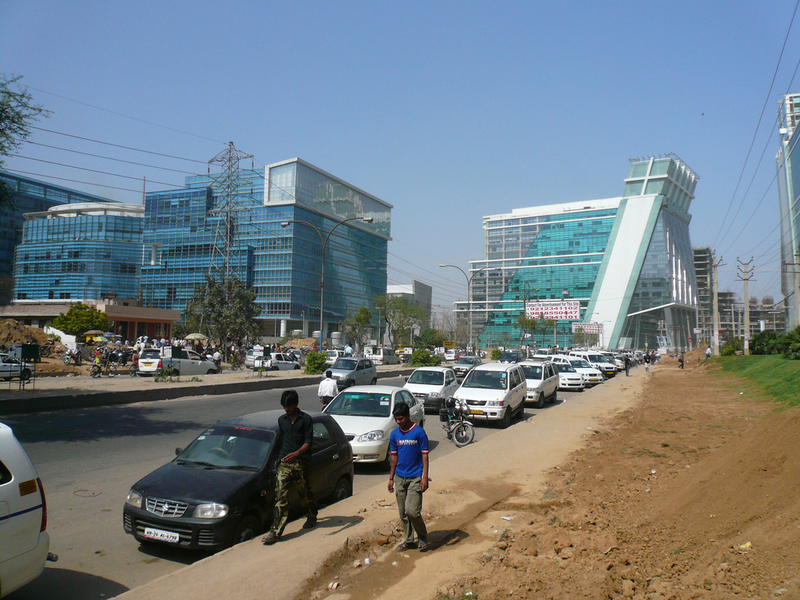 One leading Indian business magazine has ranked Gurgaon the number one Indian city to work and live. Michael Strong has argued for innovation in legal systems with the allegory that the US Post Office will eventually be competed away by superior entrepreneurial alternatives like Gmail and FedEx, rendering America’s favorite monopoly a slush-fund subsidy for junk-mailers. In Gurgaon, this is literally what has happened: private couriers meet the needs of residents because the ‘official’ service was unreliable. Developers built the infrastructure inside their projects, while a state agency, the Haryana Urban Development Authority, or HUDA, was supposed to build the infrastructure binding together the city. This striking divide is an unfortunate case study in the power of incentives. Tabarrok recommends to readers that the solution to this problem is in ‘scaling-up what works’. This is precisely the idea behind the private cities component of the “Free Cities” project, familiar to many Thousand Nations readers. Large-scale development projects like the 30 billion dollar Songdo City in South Korea do not risk the problem of the ‘oasis’ since it has, well, ‘scaled up what works’. Michael Strong’s quasi-‘Georgist’ proposal to use land-value dividends to provide funding for Free Cities also ameliorates this trouble. Well-functioning and efficiently provided public goods will only increase the value of the land on which the city rests by encouraging commerce and immigration. Marrying this to incentive programs like “Citizens Dividends” or “Flexi-wage” (official salaries tied to City growth-rates) means a positive feedback loop, benefiting city developers and residents, rich and poor alike. Gurgaon is far from ideal, but it hints at the bright future ahead for innovative projects like Free Cities. I am doing a Ph.D. dissertation on the development of Gurgaon and would love to talk to you about your post and opinions. Please do write back if you are in and around the city.